Each year we host hundreds of groups and events at the Detroit Zoo from 20 to several thousand people through a variety of discount admission, picnic and private catered events. Whether you want to fire up team spirit through a delicious catered picnic for your employees and their families, create an elegant and unique retirement dinner, provide a memorable team building experience, or take advantage of year-round discounts for employees, our sales associates are eager to help you get the ball rolling! Groups of 20 or more visiting at the same time can take advantage of discounted general admission pricing by clicking here. In order to receive a group discount, you MUST purchase 20 or more tickets in your shopping cart. Tickets are valid for general admission only and do not include vouchers for rides or attractions. Parking is not included. The Detroit Zoo offers an exciting and secure way for your employees, staff and members to purchase tickets online and enjoy savings with our discount program, Tickets & More! Participation in this program is absolutely FREE and easy to administer. 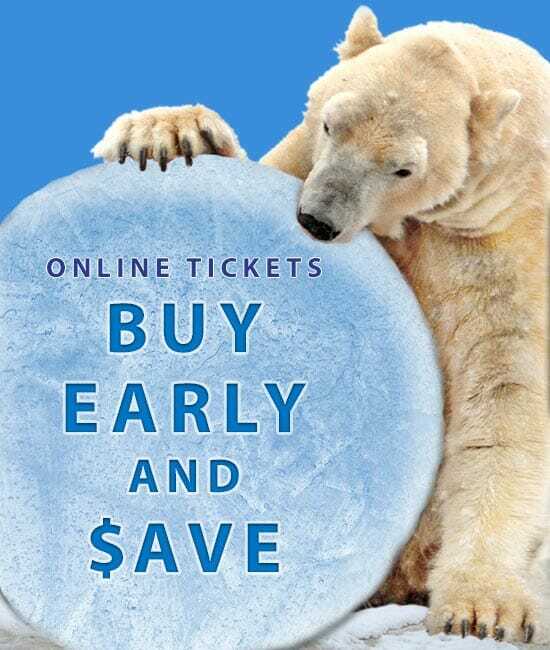 Detroit Zoo tickets may be purchased securely online 24 hours a day, seven days a week through your own unique password-protected area of our website. Program participants simply log into their personalized store where they can purchase discounted general admission tickets, exclusive ticket packages and memberships in minutes. Upon completion of their transaction, they can then print their tickets from the convenience of a personal computer and enjoy a wonderful day at the Detroit Zoo. No deposit or down payment required by your organization. Easy to administer without time-consuming paperwork or the handling of ticket sales. Payment is made by participants directly to your secure store website using a credit card at the time of purchase. Tickets may be purchased online and printed at home. Free promotional materials readily available for your internal use. Our Group Sales Manager will assist you with set-up and program administration.